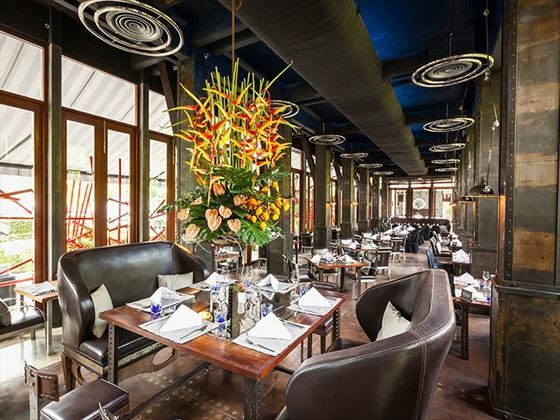 The brainchild of its owner, (whose ancestors were a prominent family in Thailand) it innovatively celebrates Phuket’s tin mining past in a funky, modernist and decadent way. Sitting on the site of a former working tin mine- (the name refers to the Slate that rested on top of the ‘black gold’ treasure) - with a blend of ancient Thai designs elements, industrial chic and some ingenious lighting this is a hotel that sets its self apart. 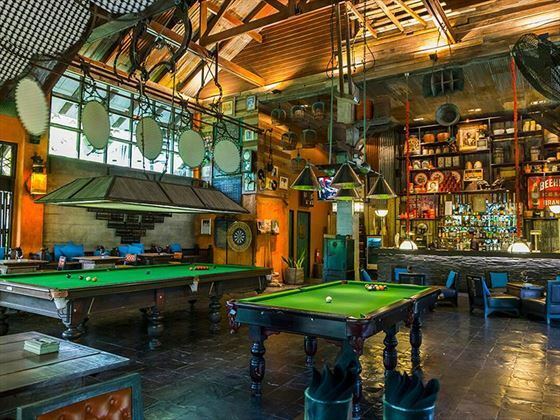 The Slate reveals whimsical and delightful experiences at every turn; drink in the billiard bar Tongkah Tin Syndicate, which not too long ago was still one of the mine’s surveyor sheds, dine at the signature Thai restaurant that sits on stilts over a handmade lake, visit the spa and have a massage in a ‘nest’ in the rainforest and treat yourself to ‘Feet In the Sand’ - a private four course romantic experience within the national park. 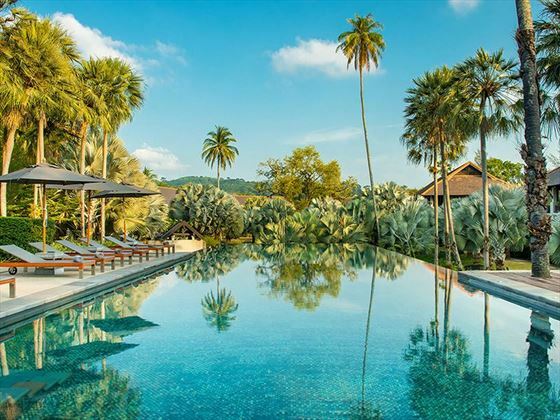 If all you want to do is relax, there are three stunning pools and the sands of Nai Yang Beach where you can enjoy the view of the crystal clear waters of the Andaman Sea. 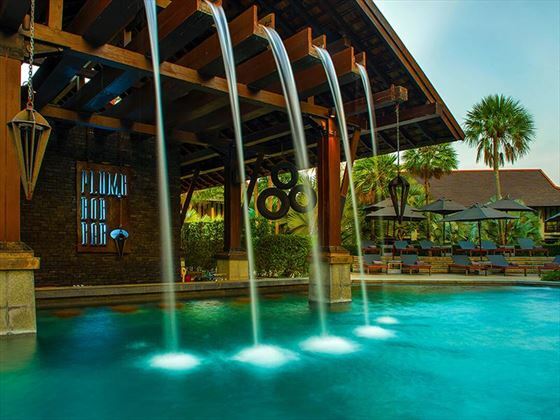 The resort is placed in a fantastic location towards the North of Phuket Island; with the serene Sirinat National Park and the crystal waters and white sands of the Nai Yang Beach surrounding The Slate, it definitely holds one of the most peaceful and relaxing atmospheres on the island. 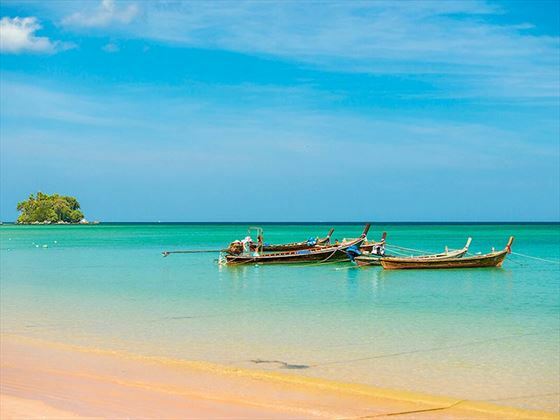 If you’re looking to explore the island, Phuket Thani Village is just over 30 minutes away, filled with lots of historic monuments, museums, eateries and a shopping mall. A further 10 minutes away is the popular Upside Down House, great for some amusement. A little further down the road is the Central Festival with an expansive range of shops, supermarkets, restaurants, a cinema and lots more to explore. 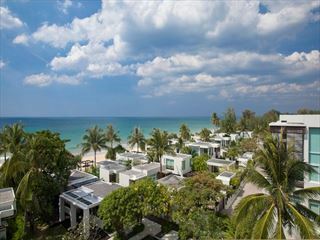 The hustle and bustle of Patong is around an hour from your resort, and offers lots of beaches, parks, shops and monuments further down the coast. If you feel like relaxing with a round or two of golf, The Blue Canyon Country Club is just over 10 minutes away from your resort. 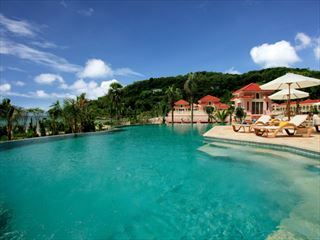 • Nai Yang Beach is just 10 minutes away from Phuket International Airport. 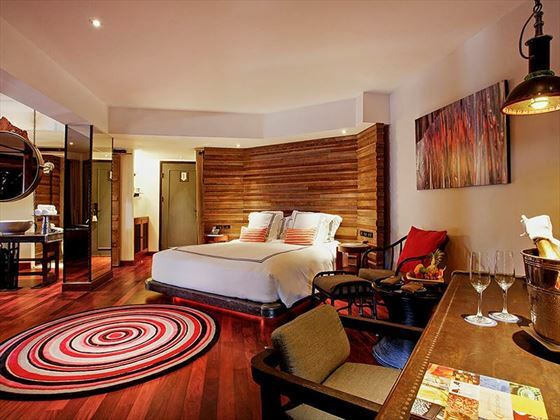 Each Suite is individually crafted, stylish, fun and spacious. Pearl Bed Suites - These rooms offer 56-65 square metres of interior space plus a spacious private balcony with seating area where a stylish bathtub is discreetly positioned to enjoy the views of the extensive gardens. They sleep up to 3 people. The D-Buk Suites – larger with a day bed, oversized bed, indoor large charcoal black bathtub and a spacious terrace. Most are on the ground floor and work well for families sleeping up to 3 adults or 2 adults and 2 children. Pool Suites – 112 sq m of private space divided equally between the modernist interior and the garden courtyard; the latter with 8 sq m private plunge pool, double sun lounger and sun umbrella. An outdoor oversized bath sits underneath traditional wooden fans. Pearl Shell Suites – all gorgeous, all unique (some inspired by the gardens flowers, some more gentlemanly) and available in one and two bed configurations are perfect for those who want plenty of privacy or those traveling as a group or family. 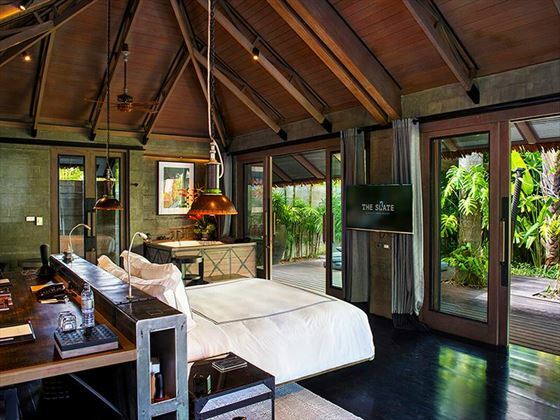 These Suites have spa treatment beds, oversized bathtubs, Bose Cd Player & Docking station and Butler service. 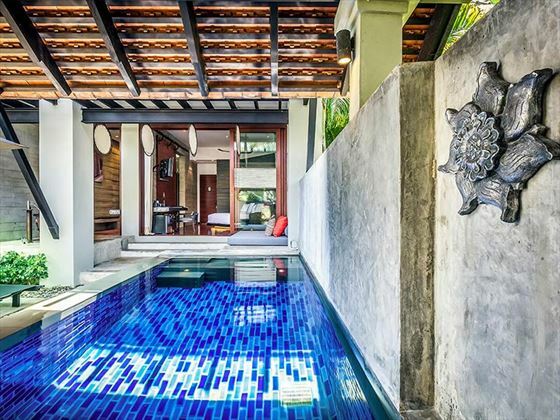 Private Pool Villas – are one and two bedroom expansive retreats for a family or group with private freeform swimming pools. 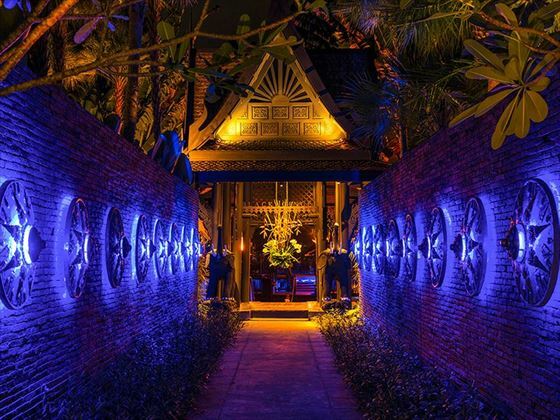 There are plenty of dining and drinking options; Black Ginger is the signature Thai restaurant where ancient Thai building traditions merge with modernist black interiors and indigo blue chandeliers for an exciting evening dining experience. Rivet, another Asian restaurant, sits aside Rebar where you can try sushi bites and a sundowner cocktail. Al Fresco Tin Mine has live cooking stations and Dirty Monstera offers a lighter sandwich, coffee and pastries. Whilst the beach club, Shore Thing, serves fresh pizza and cocktails to tempt you away from the sand, the Underground Café serves salads and juices using the finest and freshest native ingredients poolside. 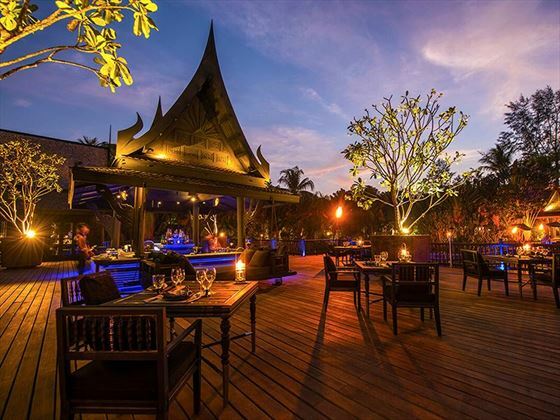 Alternatively, help create your own flavours of Thai cuisine at Moo’s Kitchen the on-site Thai cooking school after a trip to the local market with the chef. Tongkah Tin syndicate is a playfully designed sports bar. 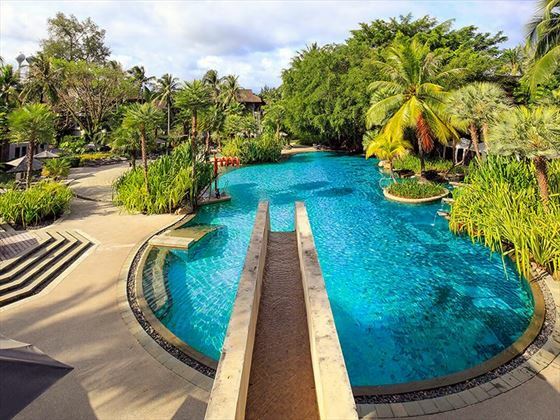 • Three impressive swimming pools that blend with the natural foliage – two are adults only, one with a swim-up bar and the other is ‘infinity-pool’ style. The third is family friendly with a non-smoking children’s section. • A luxury spa offering a range of relaxing and rejuvenating treatments using Thai and modern techniques. The treatment rooms are in a rainforest setting in nests (treehouses) – we recommend booking early to get a secure place. • Full service fitness centre on-site, plus yoga, Muay Thai and Pilates classes on offer. • Dive centre Sea Bees offers snorkelling trips and exotic dive sites. • Sunrise trip to Nai Yang temple for giving offerings alongside locals and the resident monks. 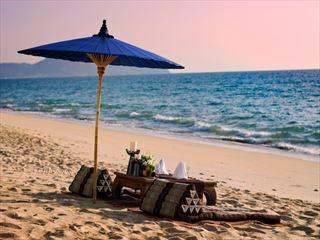 The Indigo Pearl boasts a deluxe luxury spa, where you discover a range of relaxing and rejuvenating treatments that use both traditional Thai and modern innovative techniques. 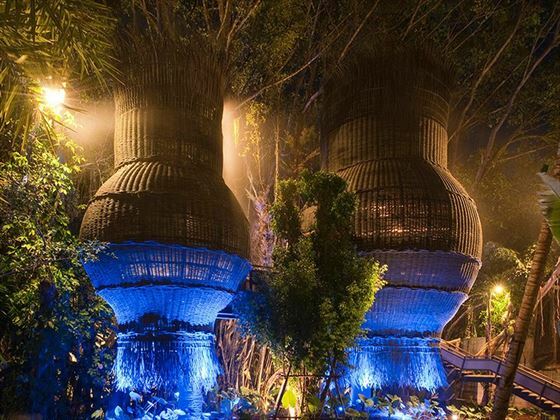 Named Coqoon, the treatment rooms are in a rainforest setting and we recommend an early booking to secure a place in the nests (treehouses). Full service fitness centre on-site plus Yoga, Muay Thai and Pilates classes are on offer. A lovely kids club fully stocked with toys and run by welcoming staff. Children from 4 yrs.’ can stay for a play unaccompanied and be kept entertained with some arts and crafts and games. Enjoy a date night in one of the hotel's restaurants and your children can enjoy a complimentary dinner, movie and popcorn while you eat. Splash Jungle waterpark is a 15-20 minutes’ drive from The Slate. Late check out until 4pm (subject to avialability).